Bess Harding - Blog: Books etc. I just thought I'd share a couple of inspiring books I've bought in the last few weeks... 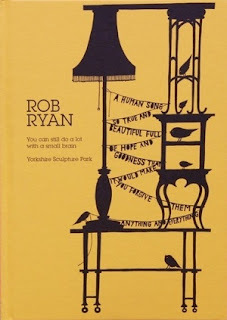 The first is Rob Ryan's You can still do a lot with a small brain, which has got all sorts of lovely and interesting images of his work and workshop (it's always nice to see behind the scenes). 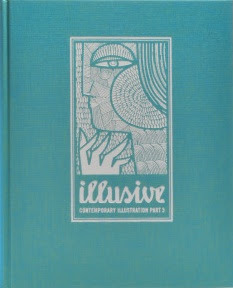 The second is Illusive, which showcases lots of different illustrators' work and which I can't bear to put on the bookshelf as the cover is just too pretty to be hidden away! It's the third in a series of tomes, so I'll have to backtrack and buy numbers 1 and 2 when funds allow.